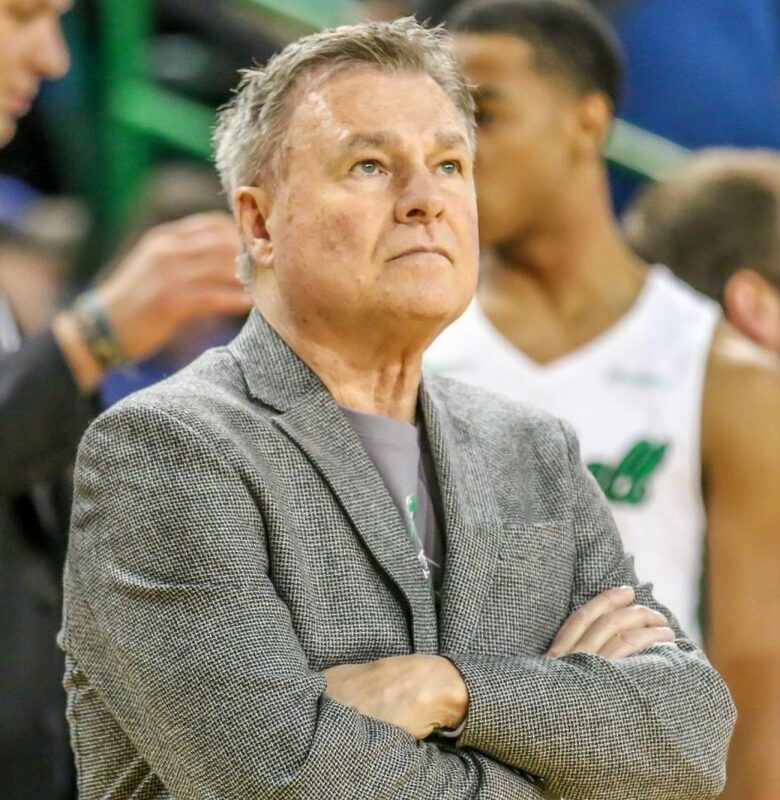 Head coach Dan D'Antoni looks on during Marshall's game against UTEP on Jan. 31, 2019. 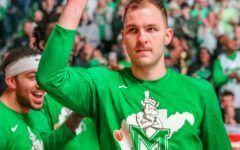 Marshall men’s basketball senior guards Jon Elmore and C.J. Burks combined for 60 points Saturday night, but the visiting UTSA Roadrunners left the Henderson Center with a 116-106 overtime win. 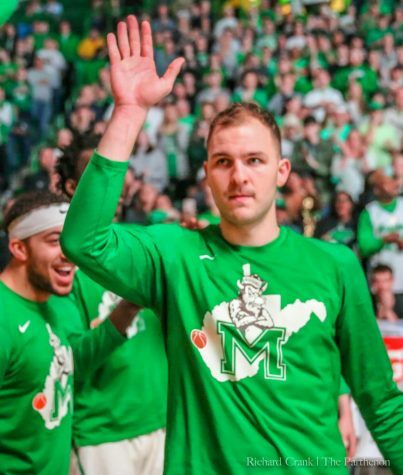 Marshall dropped to 13-10 (6-4 C-USA) and UTSA improved to 13-10 (7-3 C-USA). Sophomore guard Keaton Wallace led all scorers 45 points for UTSA, making 15-of-24 (62.5 percent) shots. Sophomore guard Jhivvan Jackson followed behind with 30 points, connecting on 43 percent (10-of-23) of his attempts. 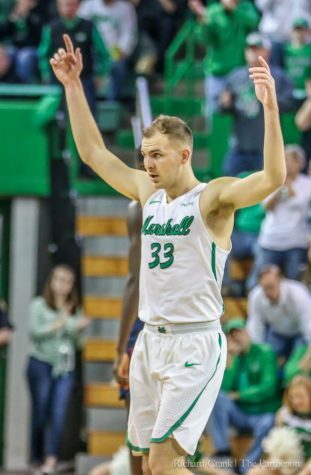 Marshall outscored UTSA in the first half, leading 46-38 at halftime, making 51.5 percent of its shots (17-of-33). The Roadrunners made only 41.2 percent (14-of-34) of their baskets. 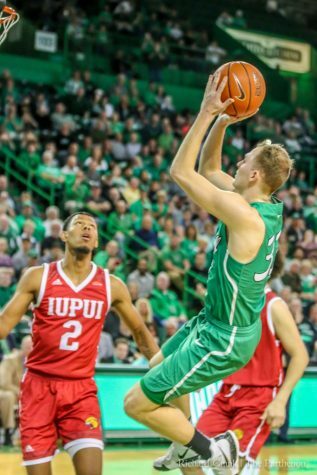 For the Herd, Burks shot 61 percent (13-of-21) from the. Elmore followed behind in scoring, shooting 34 percent (9-for-26). Senior guard Rondale Watson contributed 19 points, making 69 percent (9-of-13) on his shots. Freshman guard Taevion Kinsey added 15 points and shot 66 percent (6-of-9). The entire team shot 50.6 percent (42-of-83) from the field. The Roadrunners shot 54.2 percent (39-of-72) of their baskets for the game. UTSA had a better shooting percentage than the Herd on three-pointers, making 43.5 percent (10-of-23) from beyond the arc. 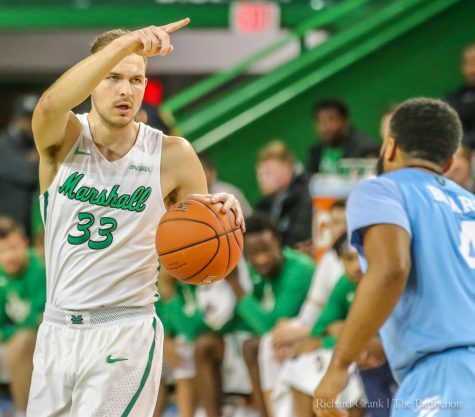 The Herd only made 35.1 percent (13-of-37) of its three-pointers. 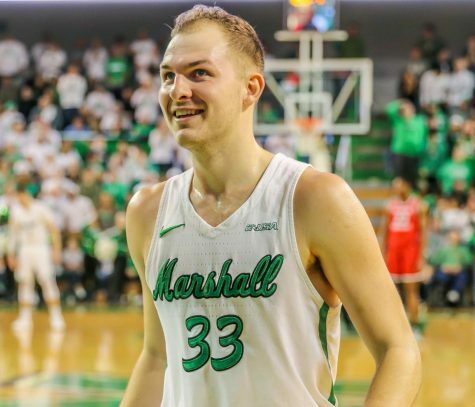 At the end of the second half, the Herd trailed 88-92 with four seconds left. Elmore took a shot from beyond the arc and was fouled by UTSA’s junior forward Atem Bior. Elmore made the foul shot to tie the game 92-92. The Herd forced a quick Roadrunner turnover, leaving 3.2 seconds left on the clock for the Herd to take possession. 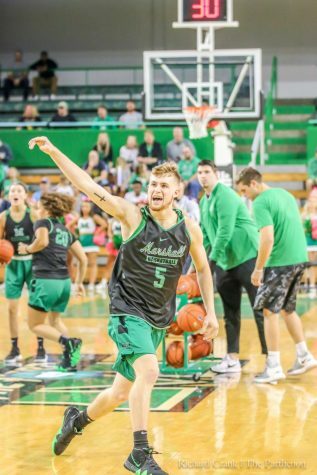 Watson missed a quick jump shot and sent the Herd into overtime. 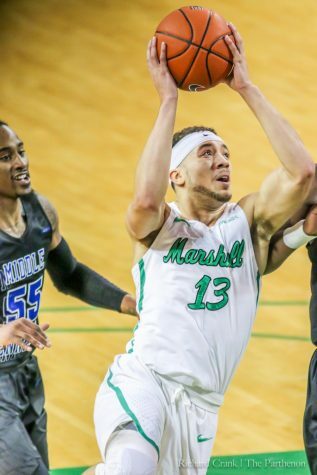 The Herd will begin its two-road game route to Denton, Texas, Thursday, where it will take on the North Texas Mean Green at the UNT Coliseum, which is commonly referred to as “The Super Pit,” at 8 p.m. 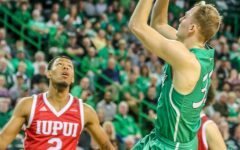 The Herd will finish up its last road game before conference bonus play in Houston, Texas, on Feb. 10 against the Rice Owls.